Additional Info: Laundry on site. 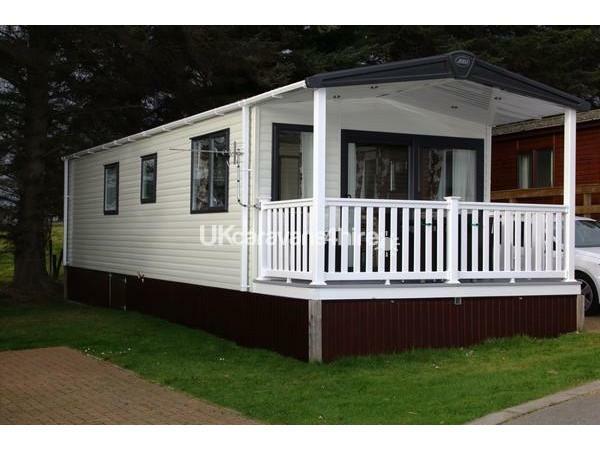 This 2 year old Ashcroft benefits from an integrated front deck with lit canopy and patio furniture so can be used in any weather. 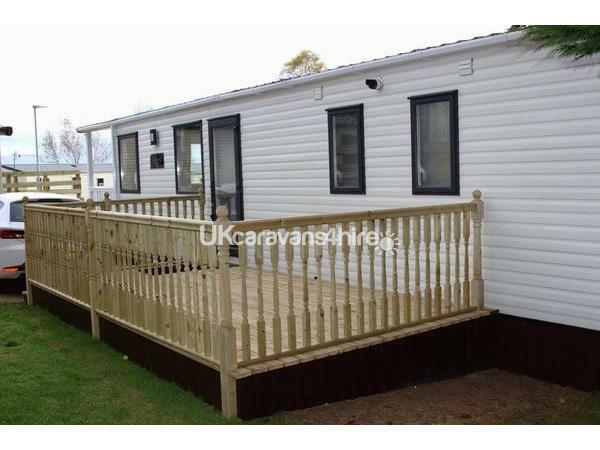 There is also a decked area with gas barbeque. In the lounge the L-shaped sofa provides comfortable seating for all the family. 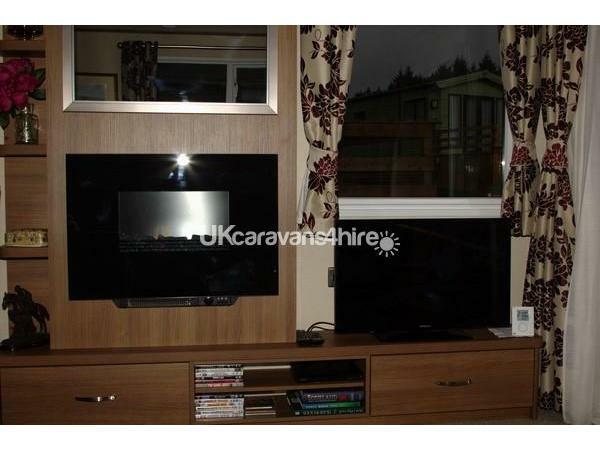 It is set around a low level TV unit with DVD player and modern electric fire. The kitchen is U-shaped and is fully equipped for cooking for a family. 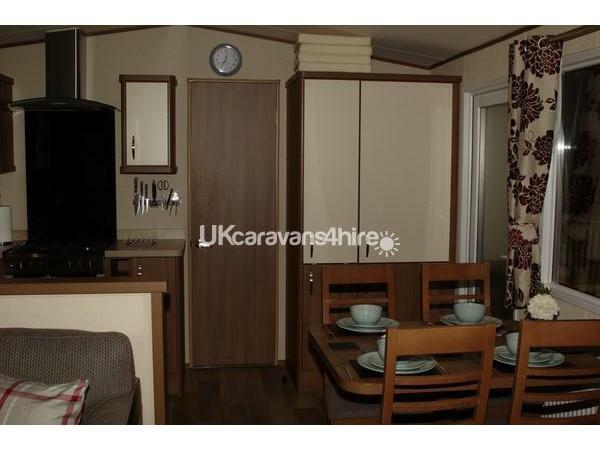 There is ample cupboard and worktop space and has integrated microwave, cooker and fridge/freezer. A free-standing dining table and 4 chairs allows everyone to eat together. 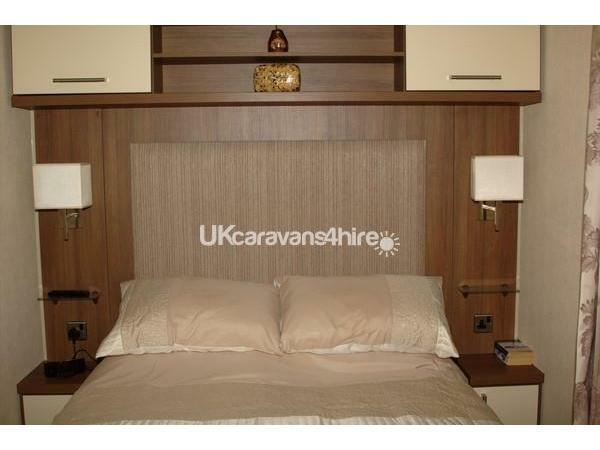 The main bedroom benefits from an ensuite and wash basin, wall mounted TV, dressing table and double wardrobe. 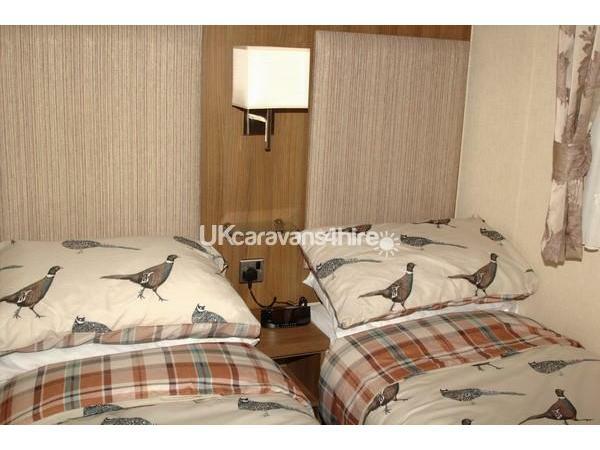 Good quality bedding is provided. 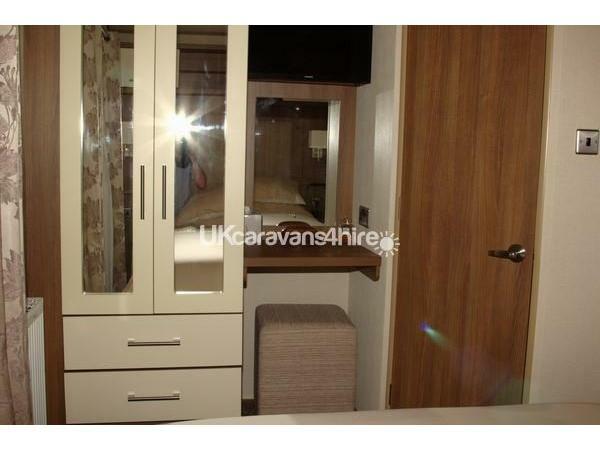 The twin bedroom also has a small vanity area, wardrobe and over bed storage. The modern bathroom has a large shower cubicle, WC and wash basin. Towels are provided. 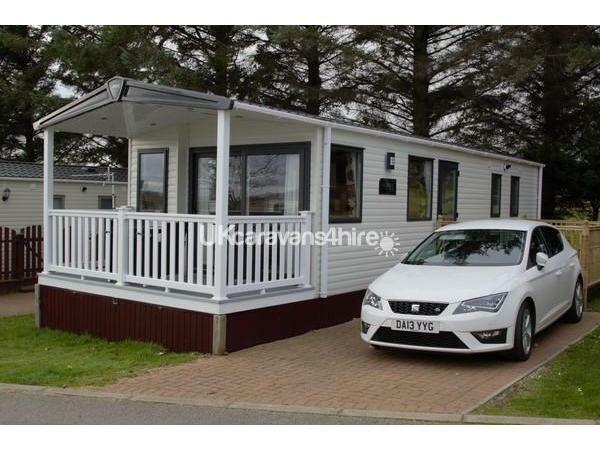 This caravan features full double glazing and central heating. A Home away from home. stayed here for a week in August,loved it ! 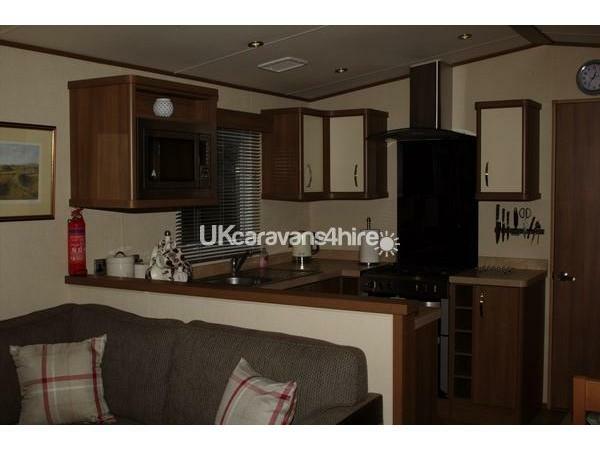 Beautiful,clean caravan with everything you need for your stay!will definatley be booking again. Thank you for your lovely review. Glad you enjoyed your stay.